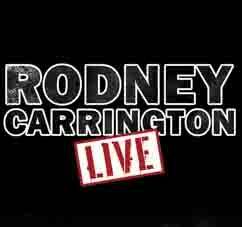 Comedy legend Rodney Carrington will Play the Crown Theatre on January 12, 2019! Fayetteville, NC (November 12, 2018) -- - Rodney Carrington is a multitalented comedian, actor, and writer who has recorded eight major record label comedy albums selling more than three million copies. Rodney will bring his comedic stylings to the Crown Theatre on Saturday, January 12. Tickets are on sale Friday, November 16 and can be purchased online at CapeFearTix.com, by phone at 888-257-6208, and in person at the Crown Complex Box Office & Leisure Travel Services located on Fort Bragg.